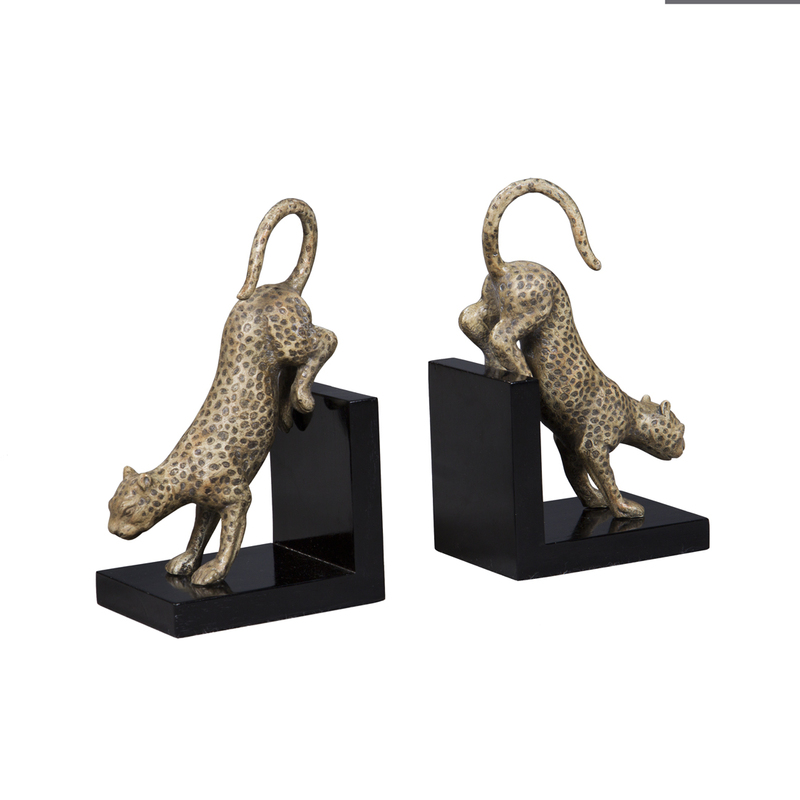 Painted pair of brass cheetahs jumping down. The bases are made from ebonised Mahogany. The cheetahs can also be ordered n silver finish.